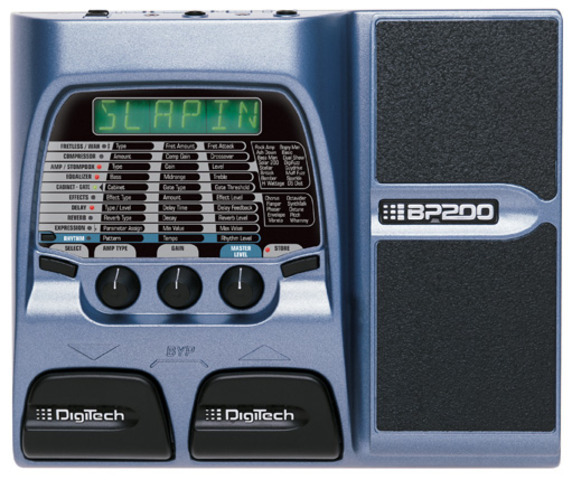 The BP200 is a revolutionary Amp Modeling/Multi-effects processor designed specifically for bass guitar. Under the hood of the BP200 is the powerful AudioDNA™ DSP processor, providing 16 bass amp and stompbox models and a host of other effects (22 total) for creating your own signature sound. 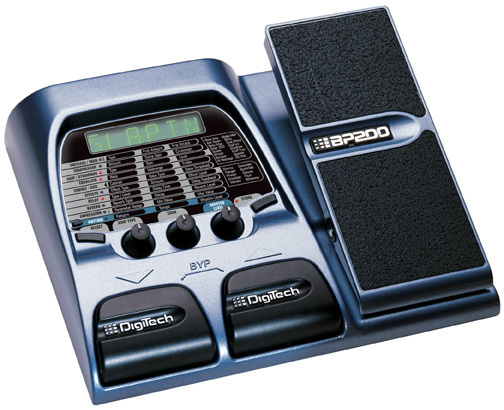 The built-in expression pedal can be assigned to control your choice of parameters in real time. Each effect includes up to 3 adjustable parameters giving you the flexibility to create the exact sound you are looking for. The 6 character alpha-numeric display and 3 knob matrix based user interface provide simple, straight forward editing functions. The Rhythm Trainer is a great tool for polishing up your timing with your choice of different patterns, tempo, and adjustable volume level. A chromatic tuner lets you quickly check or tune your instrument to one of 4 different tuning references. The BP200 comes ready to use with 40 great Factory Presets, and includes 40 User Presets for your own custom creations. The rear panel features a single 1/4" input, a 1/4" TRS stereo output, 1/8" stereo headphone output and a 1/8" stereo Jam-A-Long™ input.